Kathy Louise (Muncy) Riddle, 62, of Jackson, passed away on Tuesday, April 17, 2018, at her home following an extended illness. She was born on February 14, 1956, in Wellston, Ohio, daughter of the late Harold Muncy and Madelyn (Rafferty) Muncy, who survives. 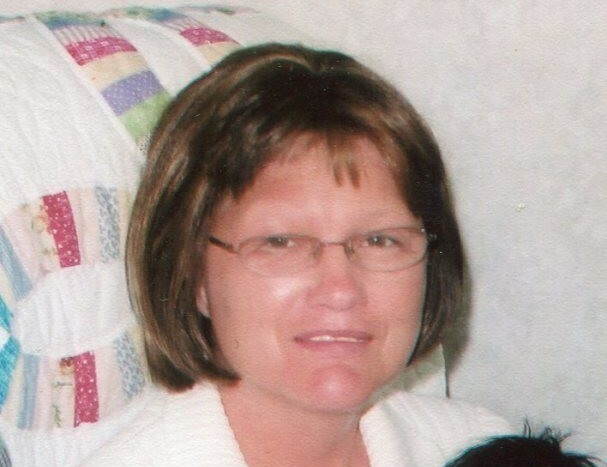 Kathy worked as a Licensed Practical Nurse for 23 years and attended End Time Harvest Church. In addition to her mother, Kathy is survived by her husband of 44 years, John Riddle; two sons, Jason Riddle and John (Robin) Riddle; two grandsons, Gunner Grooms and Joshua Lane Riddle; Siblings, Lee, Linda, Mary, Marcia, David, George, Sherry, Becky, Steve, and Gloria; as well as several nieces and nephews. In addition to her father, she was preceded in death by her brother, Carl Muncy. The family will receive friends on Saturday, April 21, 2018, in the chapel of R.M. Williams Funeral Service, 120 West Broadway Street, Wellston, from 11 to 1 p.m., where a funeral service celebrating Kathy’s life will follow commencing at 1:00 p.m. with Pastor David Rahamut officiating. Burial will follow in Fairmount Cemetery, Jackson. The family would like to give a special thanks to their friend and neighbor, Susan Morgan for all care, love, help and support she has given over the last several weeks and months. Please visit www.rmwilliamsfuneralservice.com to leave a message of encouragement, comfort, or condolence to the family or to view Kathy’s online video tribute. R.M. Williams Funeral Service, Wellston, is honored to care for Kathy and her family.